How to make goey coconut chocolate truffles. 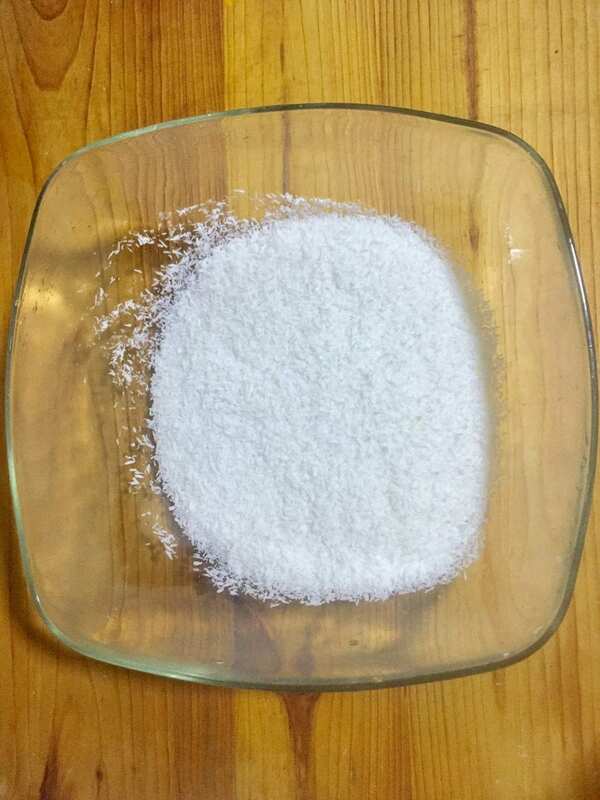 Take desiccated coconut in a large bowl. Mix 1/2 cup condensed milk with coconut. 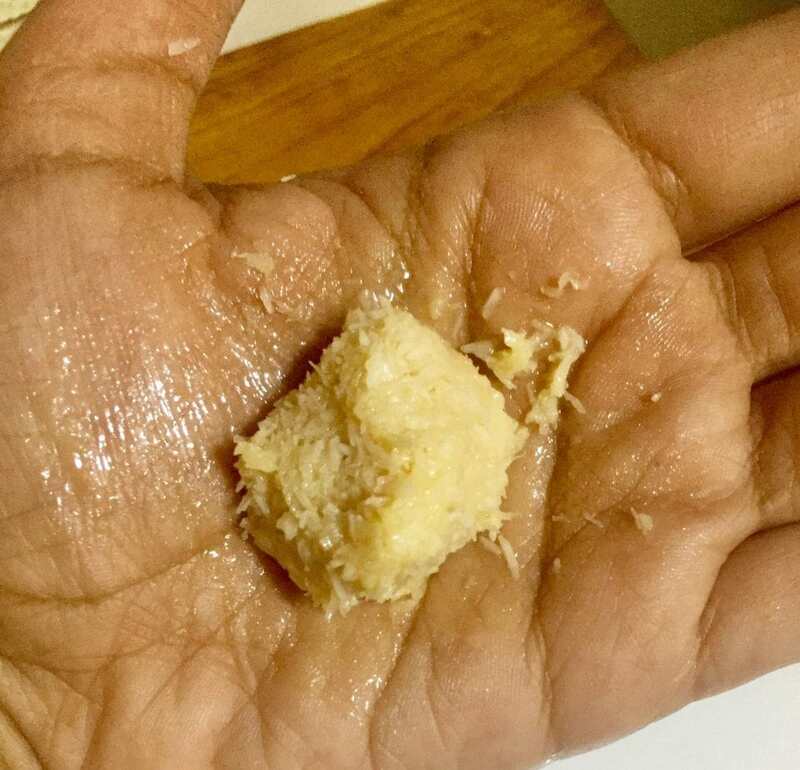 Now add condensed milk little by little as much is required to bring coconut together. 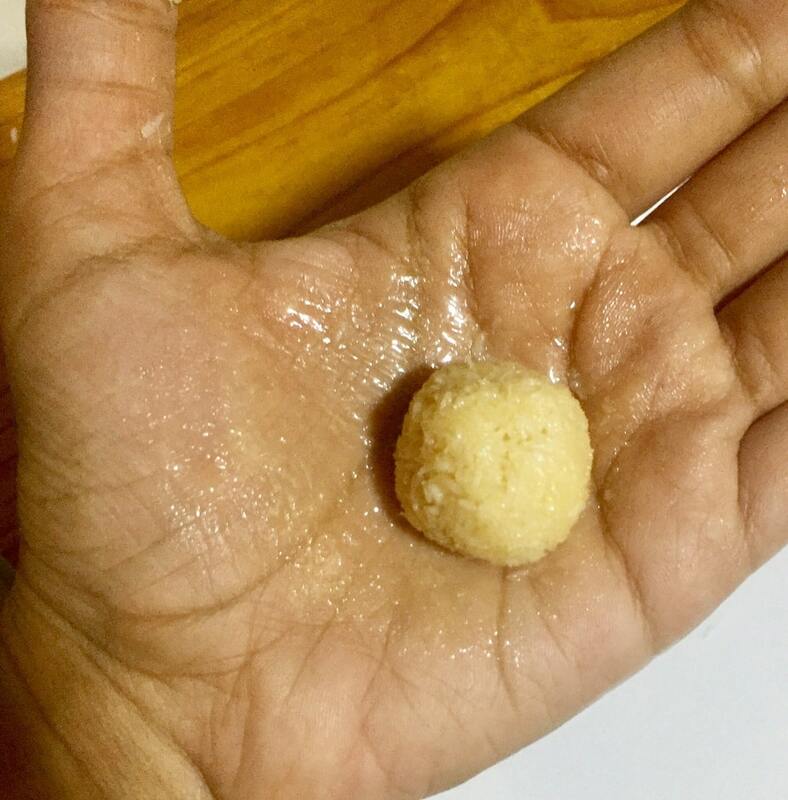 Grease hands and form small balls. Place the balls on a greased tray and freeze them for 2 hours. After two hours, take chocolate in bowl. 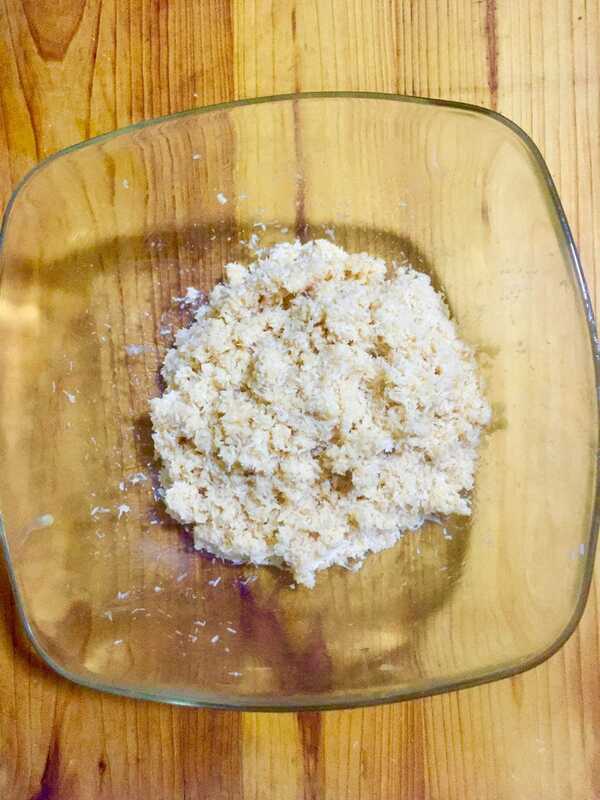 Melt it in the microwave with the interval of 10 sec and with stirring in between. If required, add only 1 to 2 tbs milk to thin chocolate. 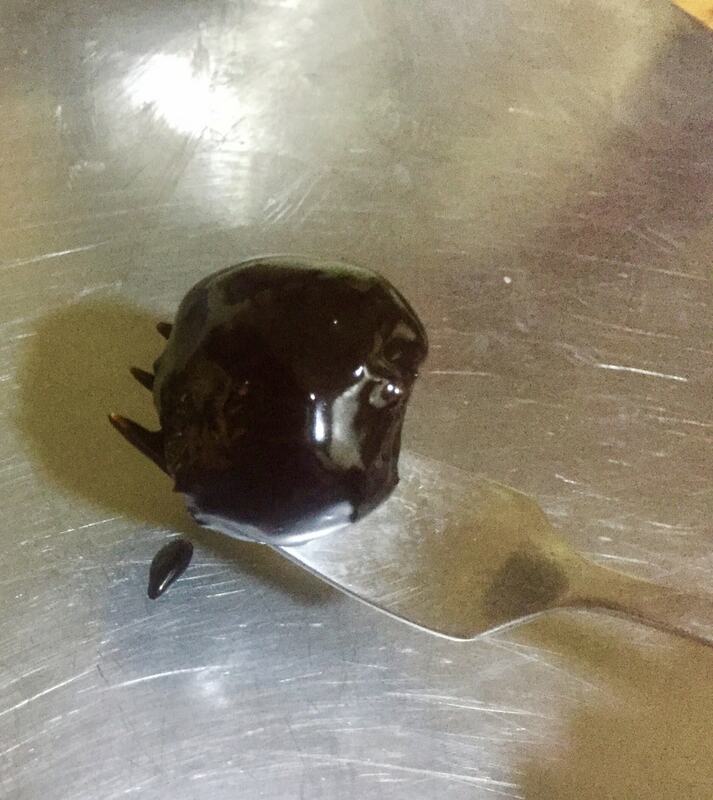 Dip each coconut ball in melted chocolate with the help fork and place on the greased tray again. When chocolate is dry roll in cocoa powder. They are ready to serve. Serve chilled from freezer. 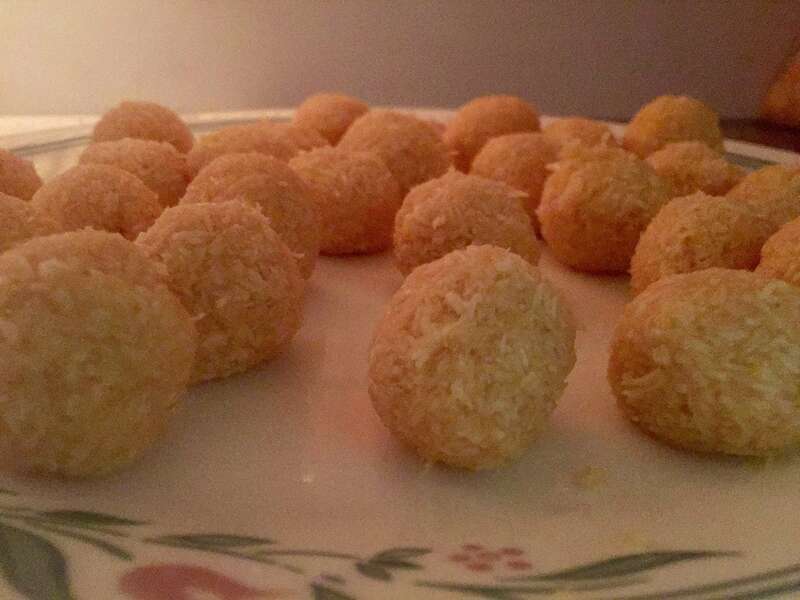 Step by step chocolate coconut truffles with photos. 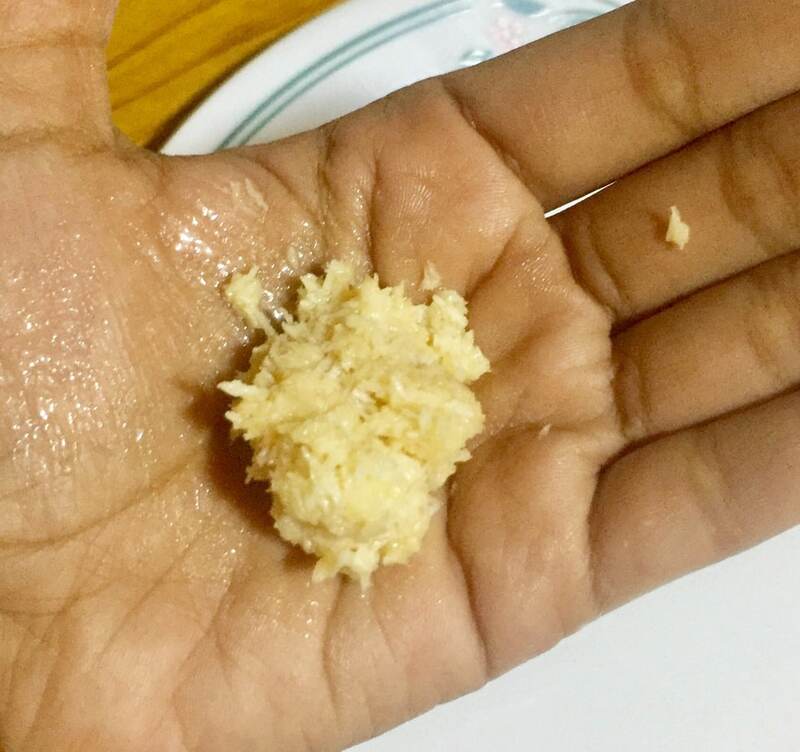 Take coconut in a bowl. 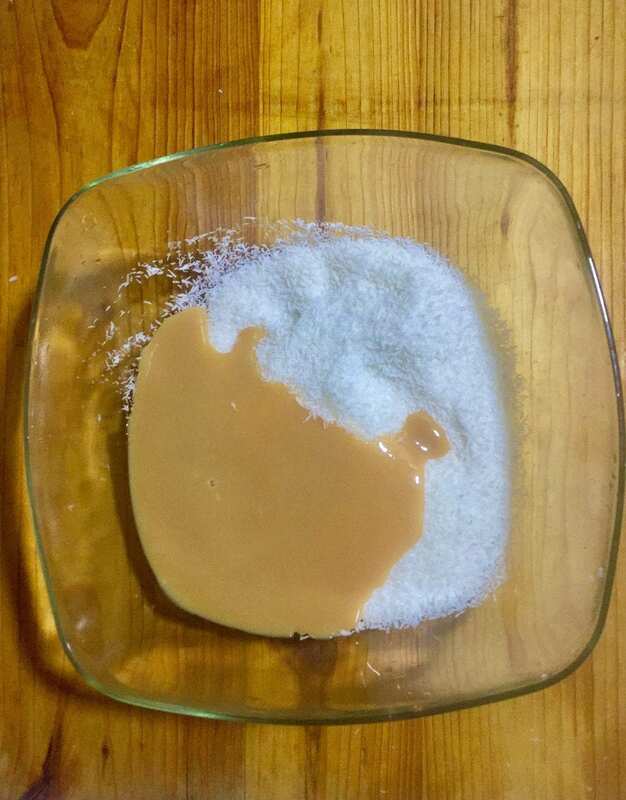 Mix condensed milk little by little until you have a dough like lump. Take small portion in hand. 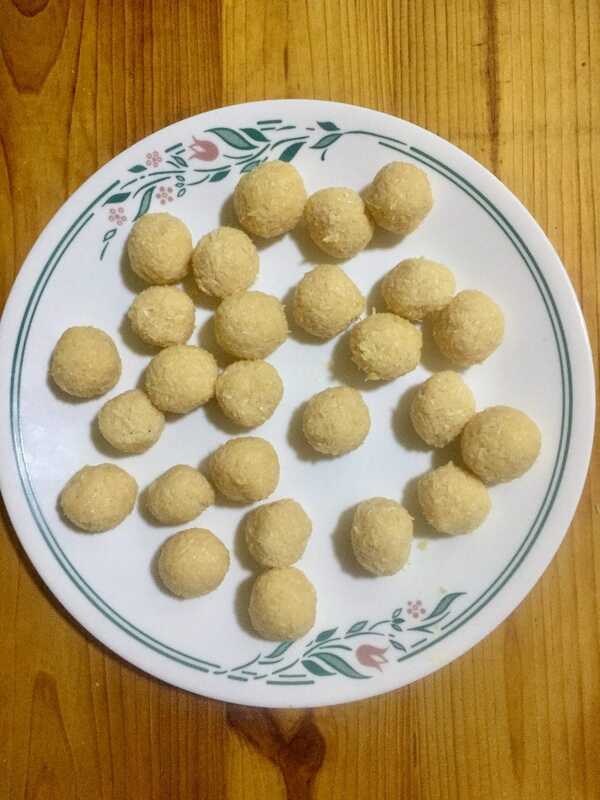 Repeat to make 28 balls. 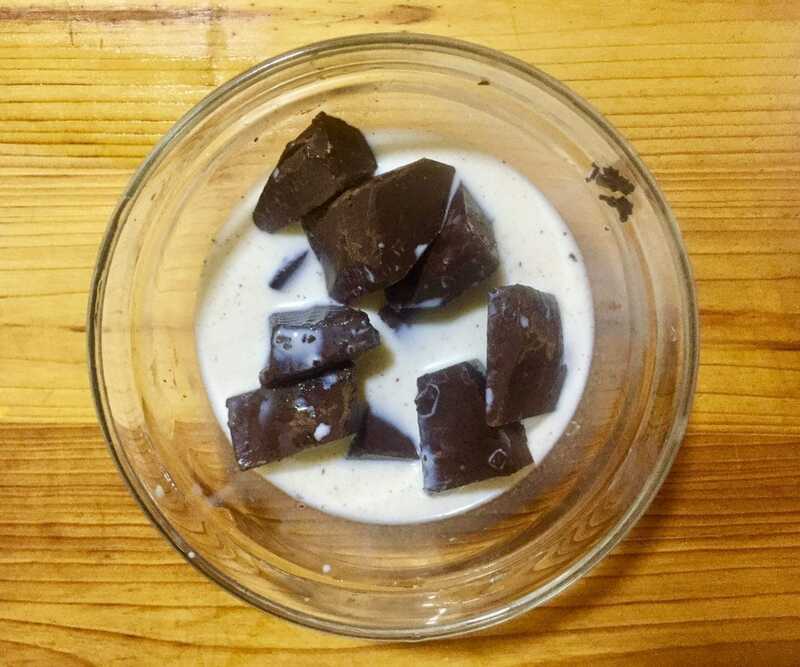 Melt 1 cup chocolate in microwave oven with interval of 10 seconds and stirring in between. Cover each ball in chocolate. 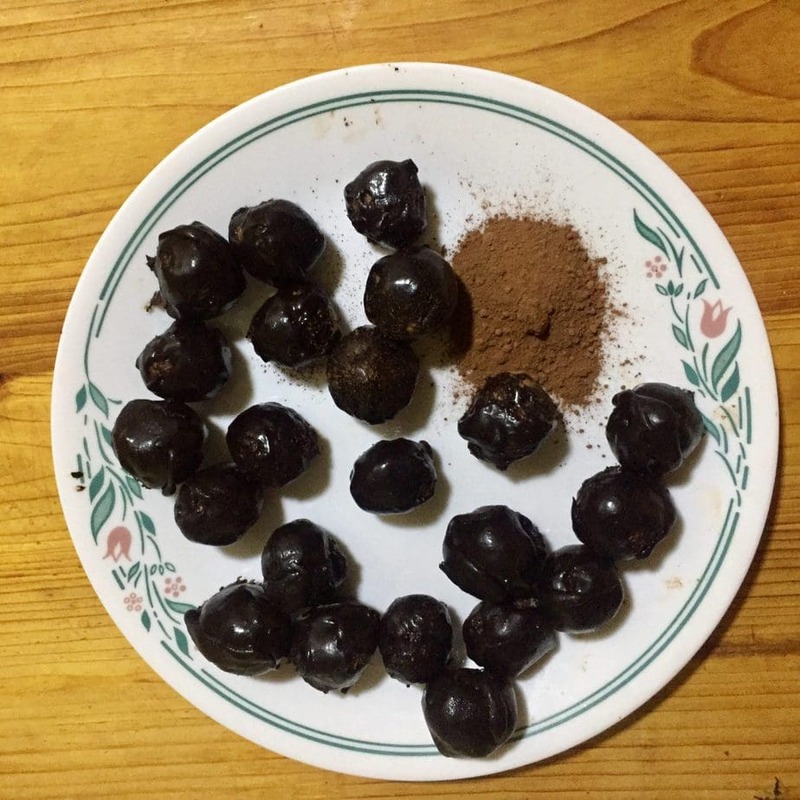 Truffles are ready , if you don’t like goey top, you can roll each ball in cocoa powder. You can always use chocolate chip instead of chocolate bar to coat the balls. You can also shape them into bars to make chocolate bounty bars. Oh this sounds very dangerous. Now that I know how to make these my life will never be the same! Thank you so much for sharing. I’m looking forward to reading more of your wonderful recipes. Thanks so much for having stopped by my blog! Thank you so much for a lovely comment. You made my day. ? I do my best! You deserve it!